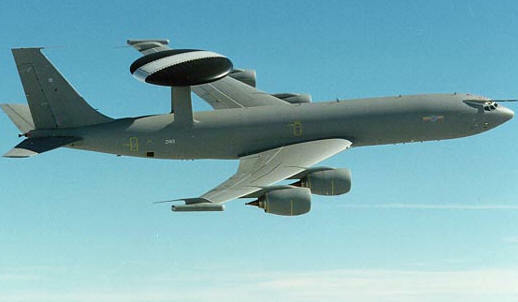 July 24, 2009, Seattle, -- The Boeing Company yesterday announced that it has received a $44 million Low-Rate Initial Production (LRIP) contract for the Block 40/45 upgrade of the U.S. Air Force Airborne Warning and Control System (AWACS) fleet. The contract, awarded by the Electronic Systems Center at Hanscom Air Force Base, Mass., marks the official beginning of the Block 40/45 production phase. Boeing will provide shipset hardware, spare parts, ground systems installation, and delivery and logistic support for the first aircraft to undergo the upgrade. Air Force personnel will install the hardware at the Air Logistics Center at Tinker Air Force Base, Okla. Installation is scheduled for completion in the third quarter of 2011. The remaining five LRIP aircraft will be covered in a follow-on contract. "Block 40/45 brings the AWACS mission system into the 21st century and enables rapid future upgrades, allowing the AWACS fleet to remain a key asset in air battle management for many years to come," said Paula Pielak, Boeing AWACS 40/45 and Advanced Projects program manager. "We look forward to putting this tremendous capability into production and delivering it to the warfighter." Boeing met all key performance parameters for the upgraded Block 40/45 system during a flight test acceptance program, proving the system's reliability and stability. The program was completed in July 2008.
the Multi-Source Integration process (MSI), which automatically integrates data from on-and off-board sources, such as radar and Identification Friend or Foe, Electronic Support Measures and Link 16. The open system and lean architecture of the MSI enables rapid software upgrades and requires less hardware.